ICIQ has taken part several years in the Youth and Science programme. This programme from the Fundació Catalunya-La Pedrera brings together a group of high school students and researchers from research institutions in the Catalan Pyrenees to learn and work on different research projects. ICIQ has offered workshops on chemistry reactions and on how to build an organic solar cell. This programme also offers stays in one of the research centers taking part of Joves i Ciència. 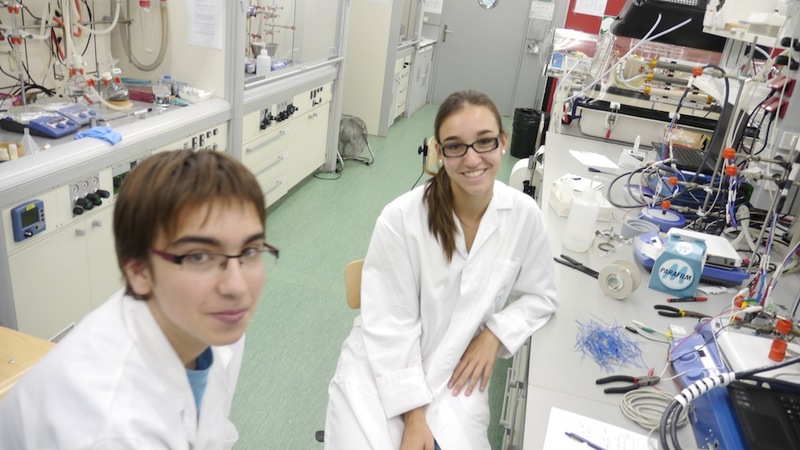 Every summer, ICIQ hosts at least two students from this programme in one of its research laboratories to carry out a reserach project. You can see some of the projects here. The Societat Catalana de Química (SCQ) gives its best high-school research projects awards yearly. The awards consist of student placements in the laboratories of different universities and research centers in Catalonia. ICIQ is one of the institutions that has offered its laboratories to host two of the awardees for a period of two weeks every summer.